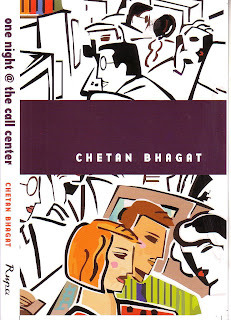 This is the second book i read after 2 States written by Chetan Bhagat. Though it was little boring in the middle, overall i enjoyed it. What is interesting is the fact that in spite of the regular story portraying the lives of six colleagues at the call centre, it is giving some positive message. I too felt it is bit dragged in the middle.Its just an OK from my side. Do you know a bollywood movie has been made on this book called "Hello"
Yes nive...i know but haven't watched it yet. now after reading comments of both of you i would not.....!!! Vrushu... who knows you may like it..Just give a try..